I have always loved making things with cardboard and duct tape. I made my own slippers and my own flip flops. I made a suit of armor complete with sword and shield. 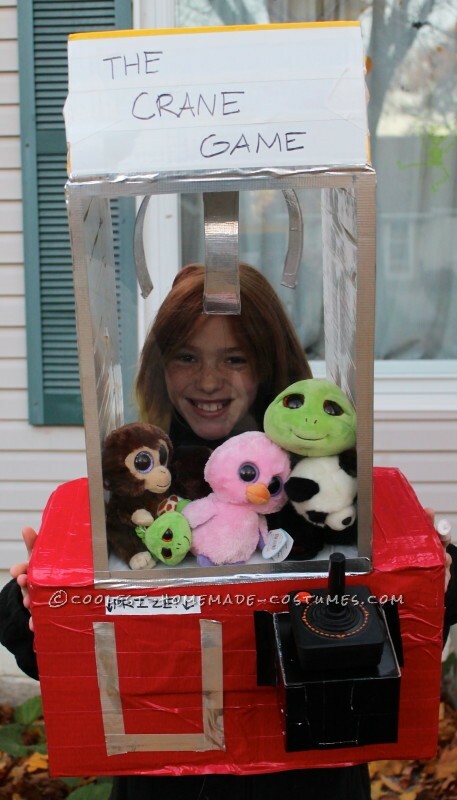 So making a crane game costume out of boxes and duct tape was a natural! I used two boxes, covered them with duct tape and used an old poster frame for the front. I went through almost three whole roles of duct tape. One fun detail is that the controller on the front is an old controller for an Atari 2600! A couple of people even recognized it. I really liked the way the crane pieces I made looked like they were grabbing my head. It looks like I was the crane prize! In Minnesota, it is important to make a costume that can be warm. Halloween this year was in the 30s and windy. There were predictions of rain and even a little snow, although that didn’t happen. This was a great costume because I could wear gloves, a warm jacket and two pair of pants. And having a box around my head kept my ears nice and warm. I also thought when I made it that the duct tape would make it waterproof in case it rained. Believe it or not, the hardest part was picking the right stuffed animals. They needed to be small enough to fit and not scary. I chose a couple of turtles and a duck as my main stuffed animals. My dad and I trick-or-treated for two hours. Everywhere I went I had to wait while people came and looked at my costume. One guy even took my picture! It was hard to hold the bag out for my candy- sometimes my dad helped. I came home with about 15 pounds of candy! 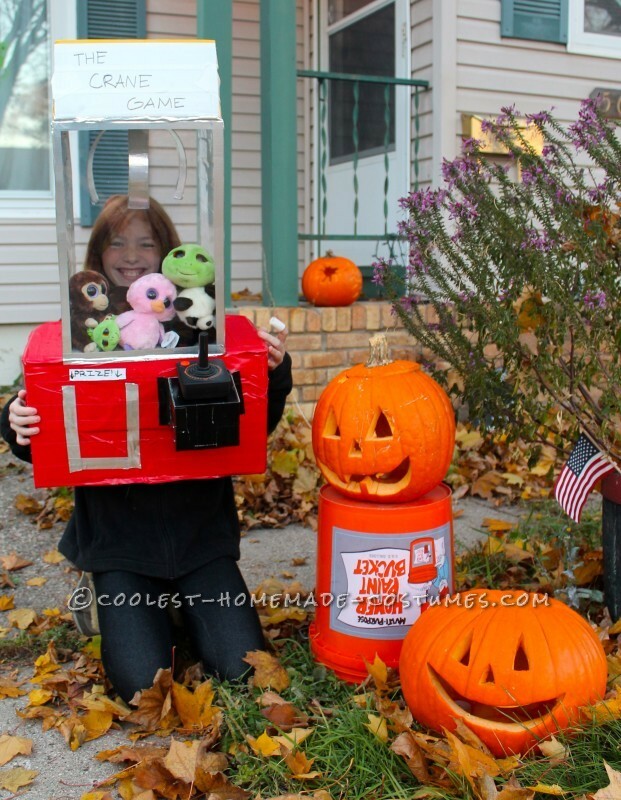 Homemade costume idea posted by Lindsey B.